We&apos;re at a point now with underground global bass standard-bearers Buraka Som Sistema that whenever they&apos;re announced spinning a set anywhere, the level of creativity on display takes the program featuring the crew to an entirely new level of importance. Last year, Buraka member Branko&apos;s Boiler Room set introduced zouk bass to the world. Recently, he continued this standard on his monthly BBC Radio 1 residency by debuting what is now the latest track in Enchufada&apos;s Upper Cuts Volume 3 series, "Don&apos;t Touch That." 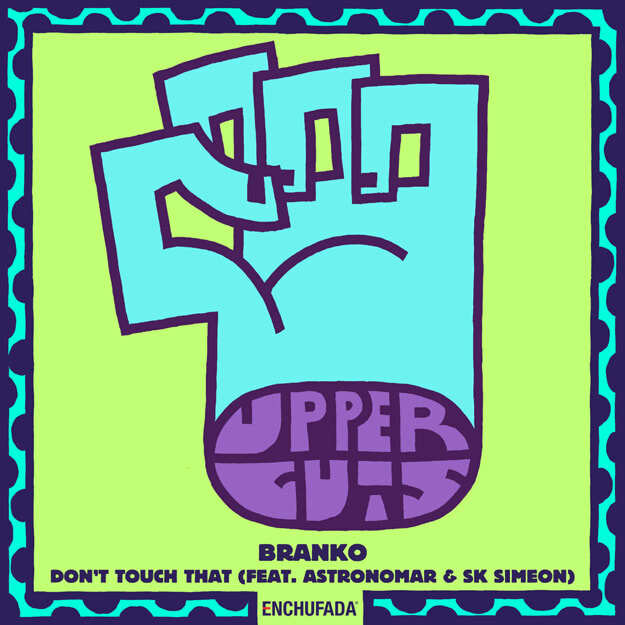 Dropped on his own label, Branko pairs with fellow indie label mover and shaker Astronomar and Melbourne, Australia-based Ugandan vocalist SK Simeon for what could only be called "conga guarachoso." Mexican tribal triplets meet up with the chunky funk of congas for a track that occupies a lane all its own with a shuffling groove. Sounding like what would happen if 3BallMTY were DJing a sweaty all-nighter in a dive bar in Kampala (no, really, imagine THAT), it&apos;s absolutely worth a listen now, and download tomorrow. Keep your ears open for more info on the new Branko EP soon, scheduled for an early April release with the freshest Global Club Music vibes, exciting collaborations and a ton of surprises. But of course, you wouldn&apos;t expect any less from the &apos;ghetto music Anthony Bourdain&apos;, now would you? Again, thanks to Enchufada for the exclusive as from JSTJR to Bert on Beats and now, Branko, this collection is showcasing the upstart label&apos;s impressive desire to set a progressive standard at a mainstreaming time.